You can not work without the odor of coffee, you're poetry, and you're on Thursday, 21. 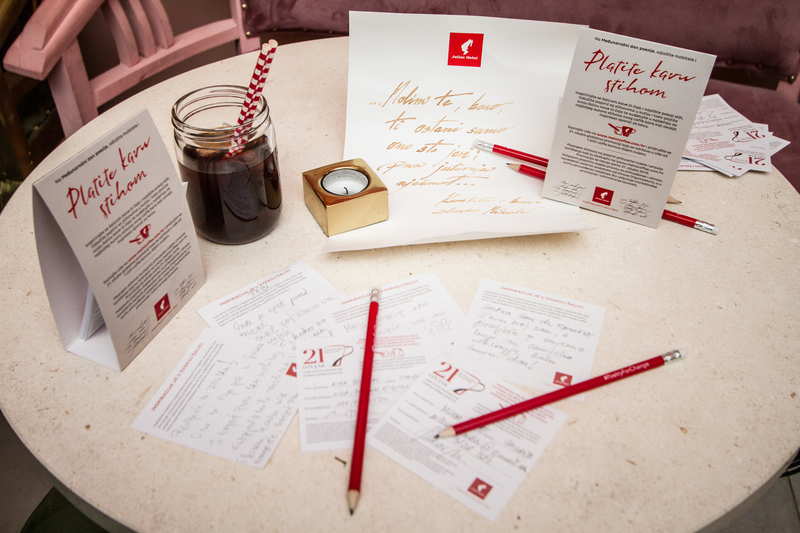 March - on International Poetry Day Near one of 150 location which are part of the global campaign Julius Meinla, you have the opportunity to present your stiho-winning talent and for him get free coffee or tea! Already six years Julius meinl conducts the campaign Pay a cup of coffee in more than 40 world countries, and with the exception of free shredding potions, the most beautiful verse will be rewarded in each of the participating campuses Inspired by a coffee machine with capsules, and lyrical expressions - according to the criterion of artistic value with an emphasis on the quality of the verses and the overall impression will be printed on Julius Meinl limited edition coffee to go glasses, with the initials of the author of verses! Singer with platinum release Toma Odella and author mega hita Another Love Julius Meinl chose for the global brand ambassador for 2019. which is an additional highlight of the link with art and artists. Tom emphasizes that he prefers drinking coffee in company with friends in the cafes (and reading poetry) as compared to computer social networks. "Art for Julius Meinl has always played an extremely important role. We often work with artists because our coffee is not just a caffeine drink, but for centuries is a source of inspiration many poets, to artists, but to everyone else who reveals the song of their soul, "said the gentleman Luigi Simonetta, President of the Management Board Julius Meinl of Croatia and continued: "Art already 157 years is subtly sketched through the design of our cups, logos and packaging. We are very proud of the fact that culture is a tradition beekeepers, whose ambassadors are 2012. protected UNESCO as an intangible heritage ". 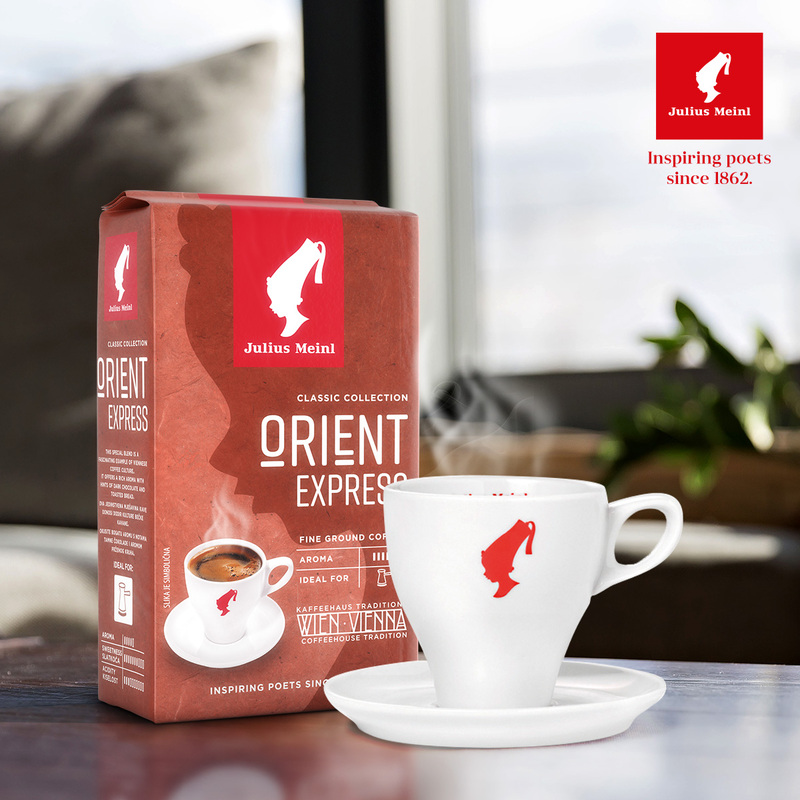 In Zagreb Drama bar, Simonetta also introduced a new retail product mix Classic Collection Orient Express developed by experts from Julius Meinl specifically for Croatia. This fine minced blend is intended for Turkish coffee lovers: very creamy, rich in foam and refined scent and taste will satisfy every fan of traditional coffee, but at the same time let everyone know that the drinker follows world trends in the coffee industry.